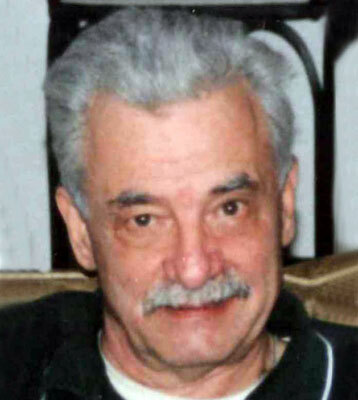 AUSTINTOWN – George “Porge” Beck Jr., 72, passed away Sunday, Feb. 16, 2014, at St. Elizabeth’s Health Center, Main Campus. George was born Aug. 29, 1941, in Youngstown, to parents George Sr. and Josephine (Tonti) Beck. George was a painter with Local Union 476 from 1965 to 2007, when he retired. He was a member of St. Joseph’s Church in Austintown. George was very active in coaching sports. He coached for the Westside Merchants, as well as coaching his son at Millcreek baseball and Westside Colt’s football. He loved fishing, bowling and was an avid fan of the New York Giants and Yankees. He is survived by his son, George (Caroline) Beck of Canfield; two grandsons, Brayden and Jameson Beck, whom he loved dearly; and four sisters, Jeanie Snyder of California, Jane Jones of Florida, Mary Lotz of Florida, and his twin sister, Josephine Caruso of Youngstown. Visitation will be held Thursday, Feb. 20, 2014, from 5 to 7 p.m. at the Lane Family Funeral Homes, Austintown Chapel. A Mass of Christian Burial will be held Friday, Feb. 21, 2014, at 10 a.m. at St. Joseph’s Church in Austintown. Interment will take place at Green Haven Memorial Gardens, Canfield. Family and friends may visit www.lanefuneralhomes.com to view this obituary and to send condolences.